You’ll learn to structure a private session and you will facilitate to 2 try-out clients 10 session’s each.You will post a report of your private session on the digital platform and receive individual feedback from your teacher about the sessions. You can receive inspiration and insight reading the private sessions of others, also from the past training. 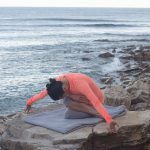 Learn several yin yoga sequences as a support by migraine, depression, stress, burn-out, infertility, hyperventilation, etc. With simple modifications for beginners. Yang poses and/or flows, which support imbalances which need Yang yoga. Understand and learn how you can use Yin2A material in private’s or in workshops with specific topics. How to sequence for the individual or for a group. Practicing teaching private sessions with each other with Yin2A & B content. 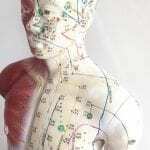 How to interpret and read the diagnosis of an acupuncturist in order to create a meridian based private yin yoga session. Learning to feel and diagnose the meridians for imbalance and feeling the abdomen. (Note: it takes 10 years before most acupuncturists can give an accurate diagnosis, so we recommend that you work with an experienced acupuncturist for at least the next 4 years so that you can continue practicing and testing your diagnosis competence, but it appears that yogis be great at sensing a diagnosis!). Learning healing Chi Kung exercises to bring more energy into your system, where there is a connection between chant, acupressure points, movement and intention. Practicing meditation & amp; mindfulness, and Pancha Kosha’s. Learn to be present in Hara,Tan tien or navel centre to be present in similar way during a private session. 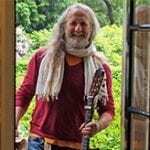 Learn and practice simple transformational practices to use during private sessions. 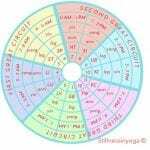 Learning mantra, beed mantra to use for different kind of imbalance or for deep relaxation. The exam exists out of teaching a private session together with a peer student under observation of Anoshe Overington and a few other students. The training takes place with a minimum of 12 participants. You can also participate in this training for individual growth, without participation in the exam. You must have done yin1/yin2A. Please note that course books and manuals are NOT included in the price. The Training gives you access to the educational online platform with film, homework, blogs etc. And includes personal feedback on your approaches and classes with your 2 clients. 9.30 h – 18.00 h. All dates with reservation. The yin yoga 2 teacher training was so inspiring! 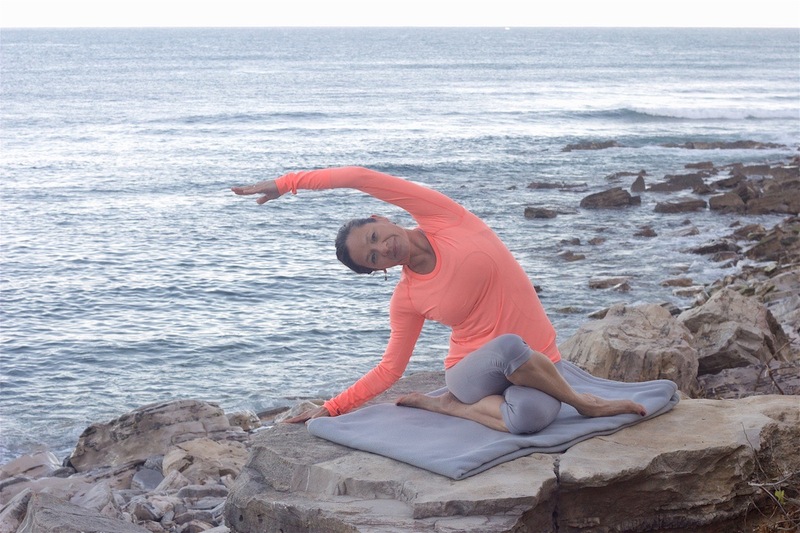 It is fascinating to see how the meridians are connected in another way then the 5 elements we have learned during the first yin yoga teacher training. There is so much more Anoshe and Pernille have to share! Besides this I love to give private sessions for people who have some ailment like migraine, burnout, depression and sleep problems. Anoshe and Pernille will give you all the tools you can use during these private sessions. It is so rewarding to see that my private students feel better after a few one-on-one sessions. This teacher training gave me also more confidence as a yoga teacher, also with teaching in groups I noticed that I am more creative and open to try out new things in class. 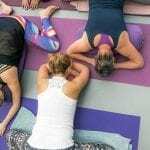 If you love yin yoga, would like to know more about the meridian system and which tolls you can use during private classes – I can highly recommend this Yin 2 Teacher Training. I already had a large basis for myself as a yoga teacher. 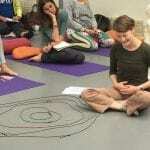 The Yin Yoga Teacher training with Anoshe Overington has deepened and strengthened this foundation. The combination of yoga, meditation, Philosophy and meridians was so unbelievably enriching. Since this training i have experienced my own body and yoga practice in a completely different way. In every pose i experience a deeper consciousness of how my body functions. I also use this knowledge in my daily work. I am a trainer and life coach for companies. In the yoga classes i teach i have integrated every bit of knowledge and experience i have gained during this teacher training. I recommend this training to everyone.